The answer, of course, is “maybe.” It depends on luck, timing, the number of resources you consult with, and mostly, luck again. While there are definitely some good buys out there, you may need to do some detective work, get to know the market, and educate yourself on what to look for when you look at an instrument to determine whether it’s a gem or should be sent to the junk heap. 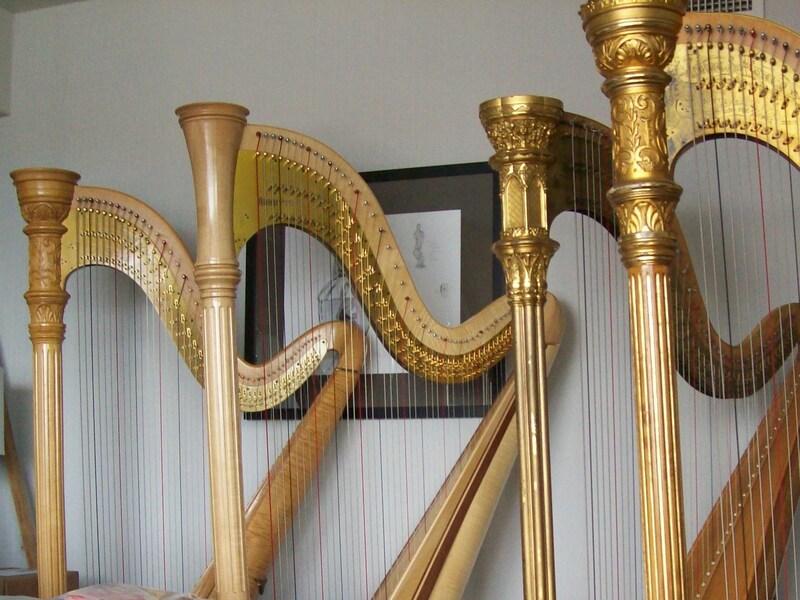 In this series of articles, I’ll tell you where to look for used harps, how to learn more about a harp before you go to look at it, and how to assess its condition. In my idea of a perfect world, only experienced harpists would get into the used harp market. People who have been around harps for a while are more able to assess a given instrument’s sound, and may also know better how to assess whether it has reached the point where major repairs are going to be necessary. In reality, though, it is very often beginners who look to save some money and get into harp playing on an affordable instrument. This is a perfectly logical idea, but unfortunately I’ve seen a few occasions when beginners bought a harp because the price was right, only to find that it was in need of major structural repairs, which ended up adding thousands of dollars to the purchase price. The answer, of course, is to get some information out there that will help harpists of all levels of experience make knowledgeable decisions about the used harp market, so that’s what we’re going to do here. If I’m scaring you, well, it would be a lie to say I don’t mean to. I would love to see every new harpist buy a brand new instrument with a nice warranty and no hidden issues. But it would also be a lie to say you can’t save thousands on a perfectly good harp if you know what to look for. So stick with me for the next few posts, I’ll see what I can teach you, and hopefully you will find the sweetheart used harp deal of the century. I asked Steve a while back if I could contribute a blog post to the Harp Herald. 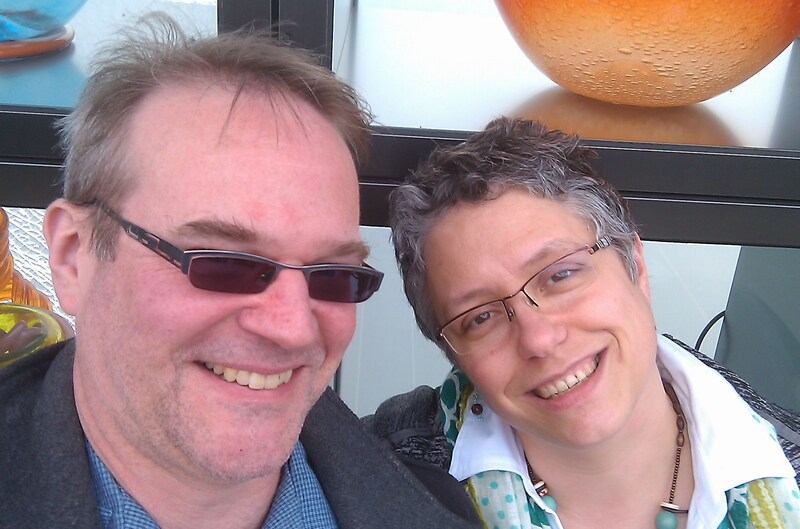 I share Steve with harpists across America for about ½ the year, so I figured it was time I shared a little about what it’s like to be at home with him during the other half of the year. One of the most common questions we get is if our daughters play the harp. No, they don’t play the harp. But they are musically inclined. They did take lessons from two amazing teachers, however, and we have a blue Lyon and Healy Folk Harp. Our younger daughter has actually gone to sleep every night for the last five years listening to harp music. Annie’s favorite: Anne Lobotzke’s Daughter of the Stars. Runners up: Suzuki Book 1, and Park Stickney’s Still Life with Harp. I’m proud when I think that in some circles he’s famous. He described a time when he worked on a family’s harp, and the daughter was super excited that “Steve Moss, the guy from the video, was actually IN her HOUSE!” He’s in my house, too, but he hasn’t made a video with instructions on how to find the missing earring in the sink trap, or how to make the kids’ favorite dinner, Walnut Pasta with Parmesan. Our older daughter goes to Interlochen Arts Academy, studying opera. A harpist friend stopped her one day and said, “Hey, Liza, Steve Moss is your dad, right? Oh wow! Mrs. Holland was talking about your dad in class today!” The other girl thought it was so cool that Liza’s dad was some kind of harp celebrity, but Liza shrugged. He’s just her dad, to her. We joke about people who have jobs with niche markets smaller than his. We thought about writing a book, profiling people with jobs that are more “niche” than his, but someone beat us to the punch. So what does Steve do for fun at home? He writes songs, plays the grand assortment of musical instruments we own – from an electric guitar to a clawhammer banjo, to the violin, and the cardboard box bass. He has a cardboard harp kit on his workbench right now, and the remains of a coffee can banjo in a drawer. When he’s not building, rebuilding, or playing instruments, Steve is also a Brown Belt in ATA Taekwondo, which he does with our younger daughter, Annie, and he has been making awesome electronic music with prerecorded samples. His current project: making a tiny lathe out of the motor of a vintage sewing machine. Stay tuned to the Harp Herald to see if he decides to turn columns for the world’s smallest harp!